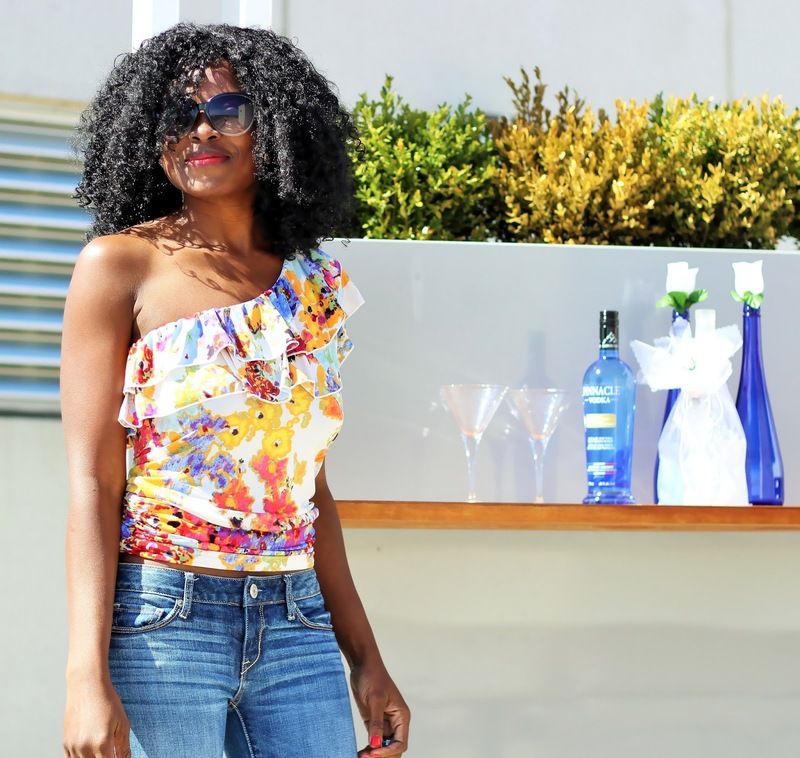 So yesterday i shared a little bit of my decor side where i worked with Pinnacle Vodka to show three different ways to turn your patio to a party central. I really had so much fun doing it and i just may have rekindled my love for decorating. Hosting a party can be stressful even if you hire a party planner, beg friends and request a whole village to take care of everything.What i have learned in past years of hosting which to me is just as important as giving your guests a fabulous time, is to never ever forget to enjoy your own party. It all starts from looking good and feeling good for the occasion. Since my patio decor idea was more of an intimate thing and the idea was for a small number of guests, i wanted to be comfortable but chic at the same time. So I picked out this one shoulder top and a pair of comfortable jeans. 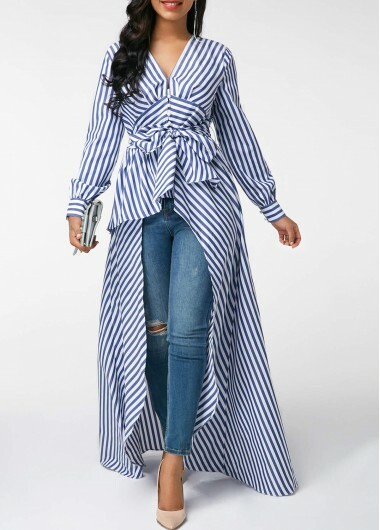 I adore the cute ruched hem and flouncing neckline on the top. All I want to do now is just party with all my imaginary friends :). 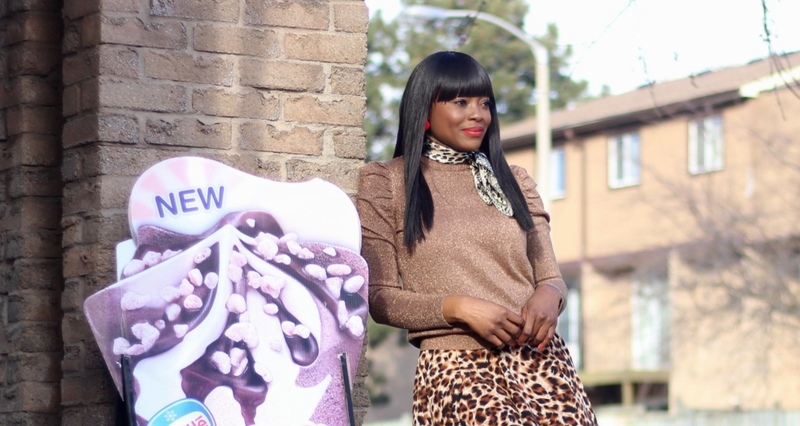 Tomorrow's post is going to be all about a mish mash of classic prints, patterns and textures. See you all tomorrow! 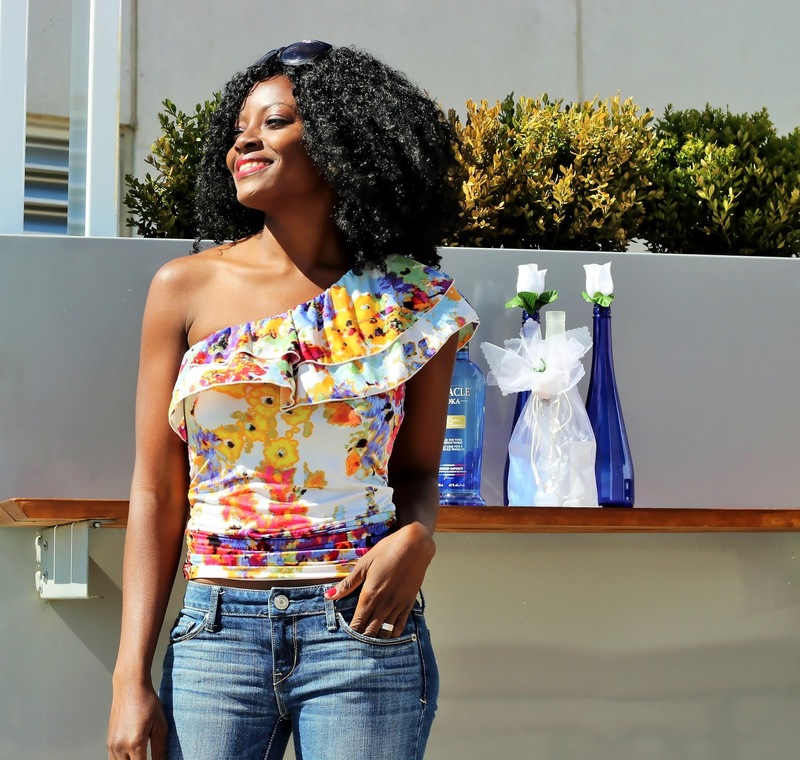 I fell in love with you one shoulder top busola!! And you are in a perfect shape my dear! 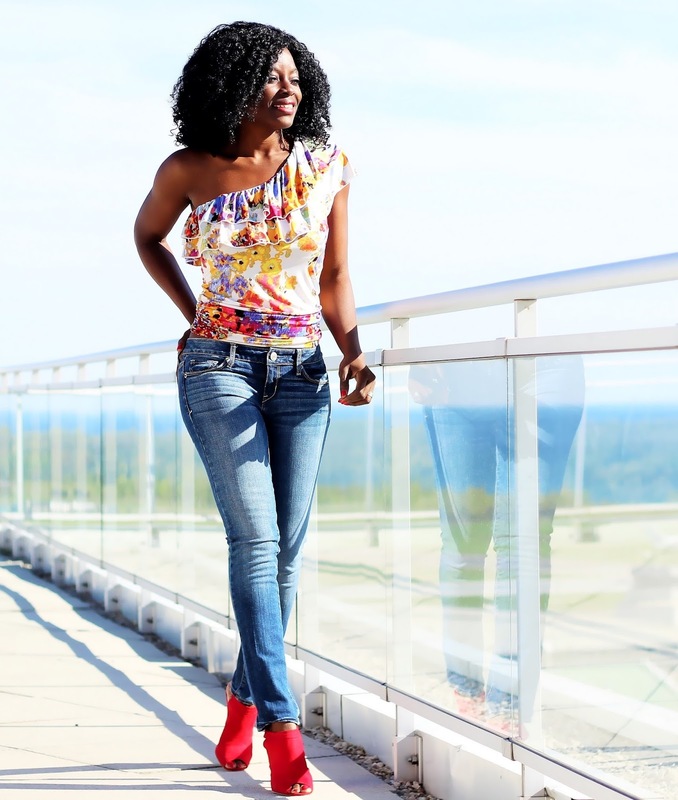 That top is so colorful and perfect for summer gatherings. 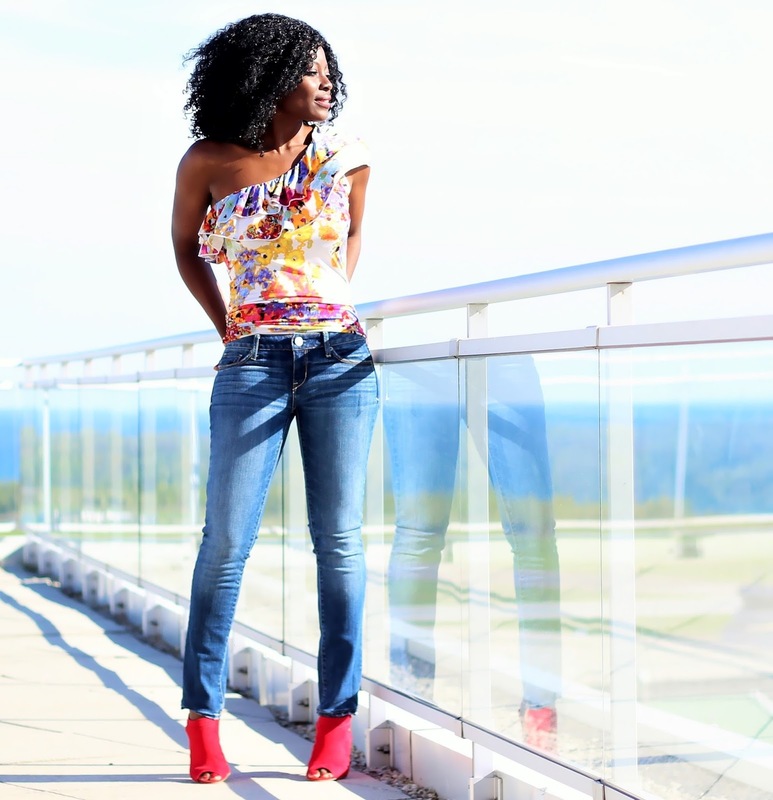 Another Fabulous outfit on you! Such a lovely summer time look. 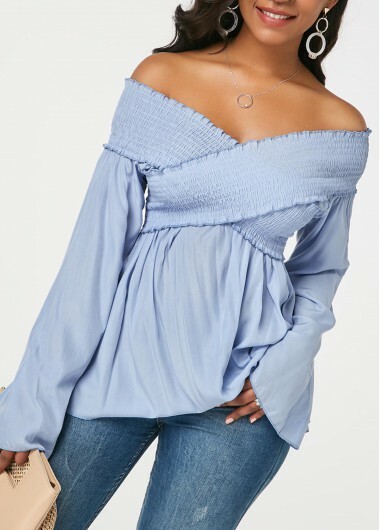 I adore this one shoulder top! The colors are gorgeous and this works so well with your perfect jeans. i am certain that your party will be fab! wish i could just jet over. Love the blue bottles as vases, btw. Oh my! You are werking it darling! These booties are too fab! What a stunning look dear.Love the top and the shoes.They are look great on you. Great casual outfit love the top is rock. The words imaginary friends took on a whole new meaning for me when I saw the WHISPERS on Monday. I guess we are never too old to have some, huh? Please tell me you have this top in at least 2 different colors? I love the fit and the flowers. And girl, keep taking care of that bod. You should be proud of yourself. Looking beautiful as always, you wear colors so well. 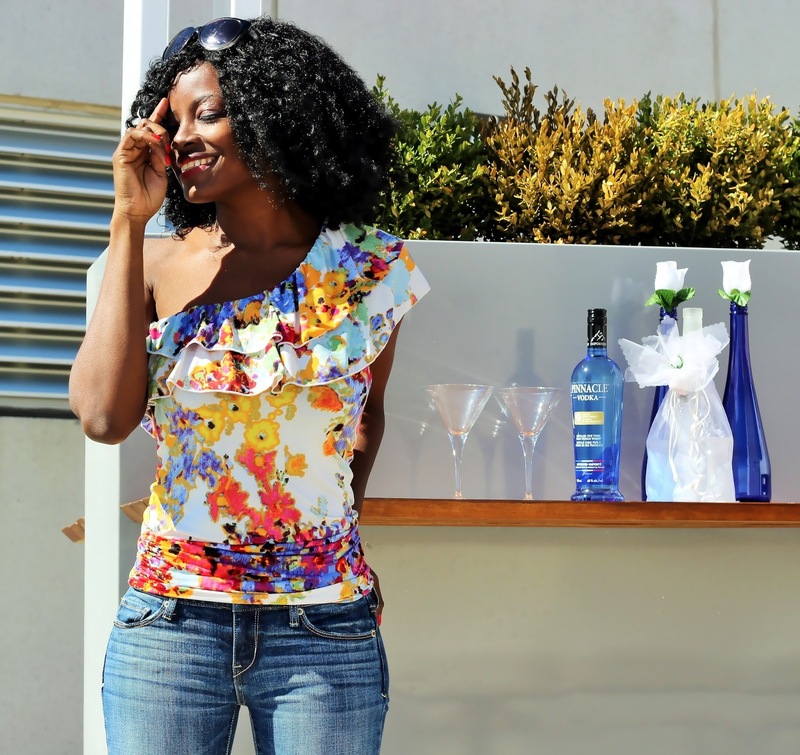 I love your ruched top, beautiful print and colors!!! The red shoes are TDF!!! Stunning photos! I loved the way you contracted the blue denim with the red shoes and the top is beautiful. You always look so incredible in skinny jeans.